Free Wifi is readily available. Shower rooms - 2 for women and 2 for men, Relax Space, Common area w/Refrigerator, Microwave, Kettle/Plates, Hair dryer, Shampoo, Conditioner, Body wash, Towel Washer & Dryer. Our bar is standing style, similar to Japanese Izakayas. You can eat many local, famous Japanese foods that we acquired for our unique menu. 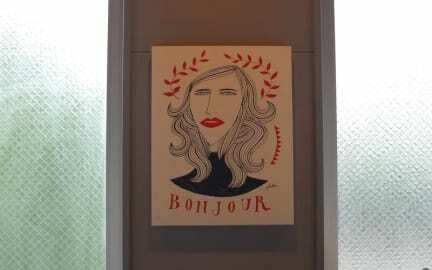 Food or Drink can be ordered for just 250yen all. At night, our bar is bustling with local Japanese coming from work, looking to mingle and chat with others, especially travelers! These ticket can be used for all our meals; breakfast (2 cards), lunch (3 cards), and be taken back as souvenirs as well. Our breakfast types are Japanese, American, and Continental style to provide you with plenty of options. ・Fukuoka Castle is 600 m from the property. The nearest airport is Fukuoka Airport, roughly 6 km from Stand By Me. We speak English,Korea and Japanese! 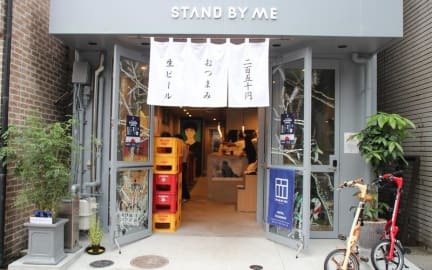 Stand By Me has been welcoming guests since Jun 15, 2017.